It’s that time of the year again where we all remember why we love this country (Safety! Endless summer! FOOD!) – Singapore is by no means perfect, but it’s home, and if that isn’t cause for celebration, I don’t know what is. And what do we do to celebrate our 53rd National Day? Eat and soak in all the holiday vibes of course! We’re here to help you make the festivities even better by saving some money while you party. This August – September 2018, whip out your trusty HSBC Credit card to enjoy dining and staycation promotions at these 10 hotels in Singapore! If you’re not already an HSBC cardholder… trust us, you’re going to want to sign up. As the first dining promotion on this list, we’ve got not one, but two places where you can enjoy savings at M Hotel this coming National Day Eve and on National Day itself. And the deals last till the end of September! Who says the fun (and eating) must stop? HSBC cardholders can enjoy a 1-For-1 Deal** at The Buffet‘s International Buffet Lunch and Seafood Steamboat Buffet Dinner. Head there on a weekday afternoon for a spread of local and international buffet favourites including Singapore desserts such as Nonya Kuehs and Durian Pengat. 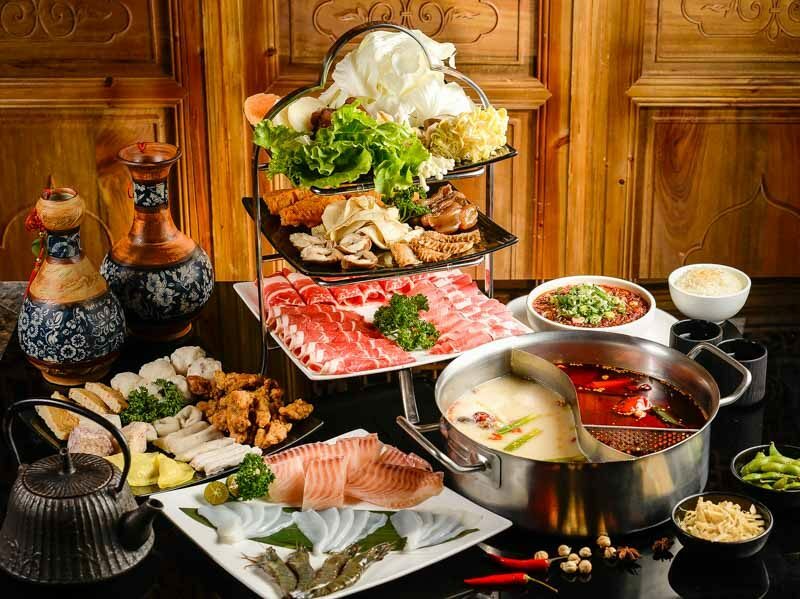 Even better yet, get the whole family together and truly celebrate with a premium steamboat buffet that we’re sure tastes as good as it looks. Plus, it’s all-you-can-eat, so go crazy dunking the fresh ingredients into the specialty soup bases! 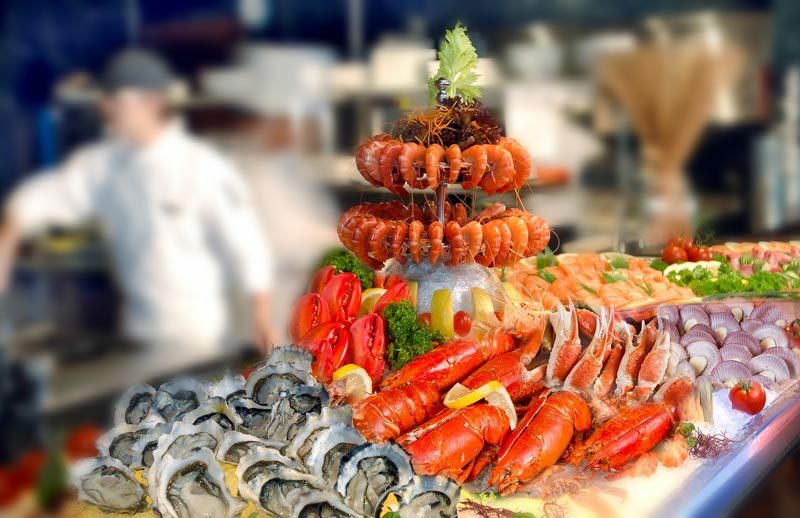 This special HSBC 1-For-1 Deal** is also valid at Café 2000, where you and the fam or your friends can stuff your faces silly at the Seafood Extravaganza Buffet Dinner or the Weekend Seafood Buffet Lunch. It’ll truly be a #treatyoself moment when you see the variety that awaits you. We’re sure the nation will agree with your “see-food” diet (you know the one). Available on eve of National Day and National Day, but not available on eve of and on other Public Holidays and special occasions, unless otherwise stated. Promotions are not valid with other ongoing promotions, offers, vouchers, discounts, promotional set menus, privilege card(s), loyalty programme or in-house offers, unless otherwise stated. Events which fall under the category of special occasions are determined by the Hotel and are subject to change without notice. Prior reservations highly recommended and subject to availability. 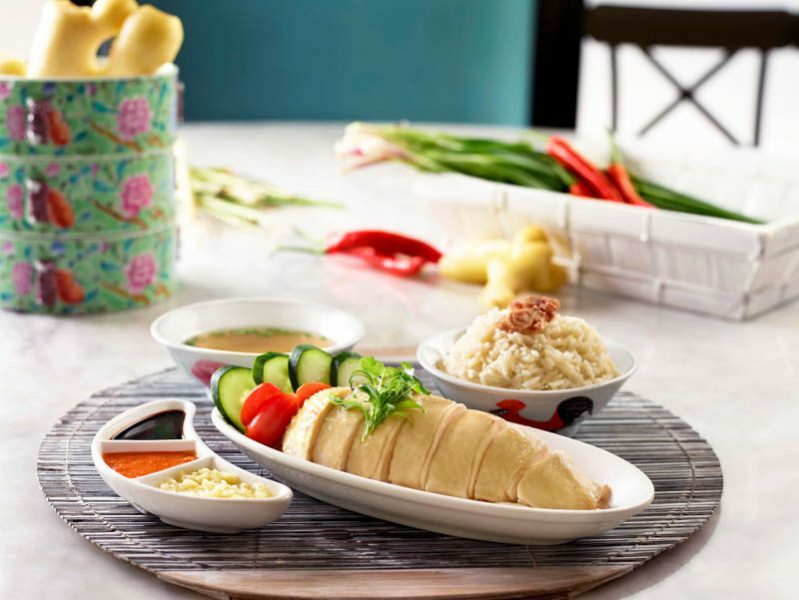 Now, you may have already tried the popular Peranakan buffet spread at Oscar’s at Conrad Centennial Singapore, but this August, a host of Peranakan dishes have been added to the mix. Chef Alex of Conrad Singapore has teamed up with renowned Singaporean Chef Shermay Lee, who specialises in Peranakan cuisine, to co-create these fusion dishes and put unique spins on classic Peranakan flavours. 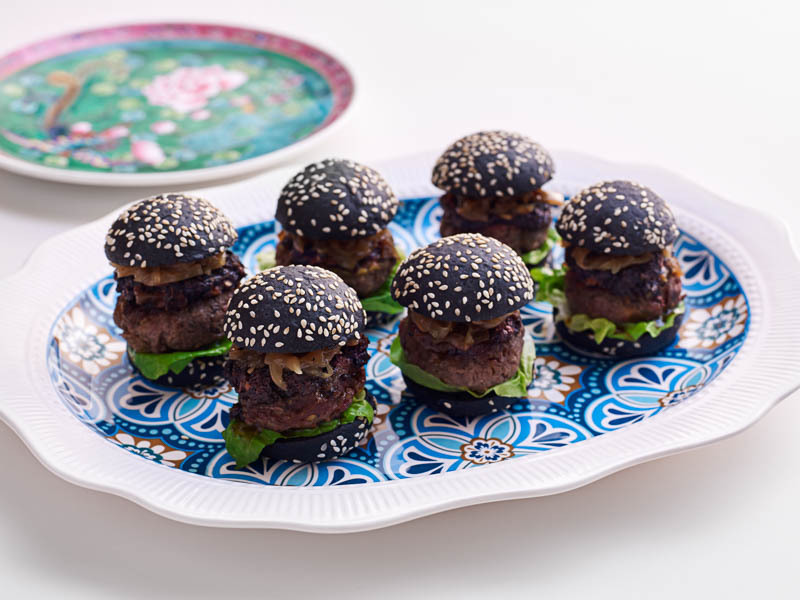 We’re particularly excited about The Black Gold – a Buah Keluak Beef Burger, which sounds like a very interesting combination. The other two dishes to look forward to are the Stewed Ginger Garlic Pork Belly with Steamed Buns (Kong Bak Bao / Tau You Bak), as well as the Nonya Chicken Curry Pie Tie. Hungry (and intrigued) yet? Get three of your makan buddies together this August and toast to our nation’s colourful heritage by enjoying the Peranakan Buffet; paying with your HSBC Credit card entitles four adults to dine for the price of three! We’ve been in this industry long enough to know that Singaporeans go craaazyyyy over anything to do with seafood, so a discounted buffet featuring an elevated selection of shellfish delights? It definitely feels like the whole country’s birthday. 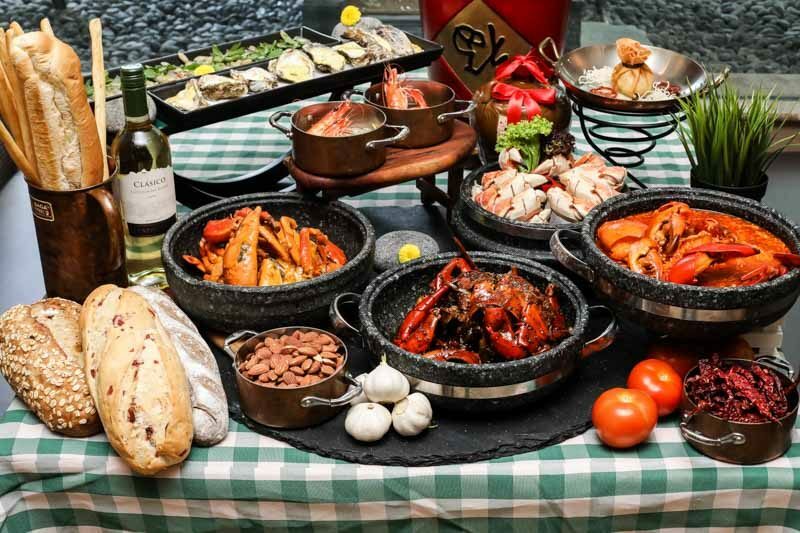 For just $53nett per adult, if you use your HSBC Credit card, you’ll get to indulge in Spice Brasserie‘s new “Gifts Of The Sea” Buffet Dinner at PARKROYAL on Kitchener Road. That’s not much at all to pay to feast on unlimited servings of dishes like Homemade Lobster Bao and Baked Hokkaido Oysters. 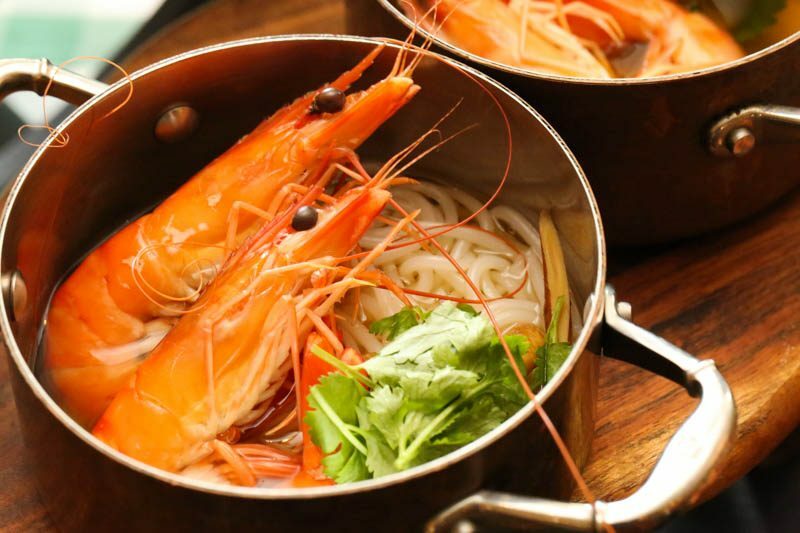 There’ll even be a tank with prawns on display at the live-cooking stations so you know that anything going into the dishes will be as fresh as possible, like the must-try Wok Braised Live “San Har” King Prawns Noodle. 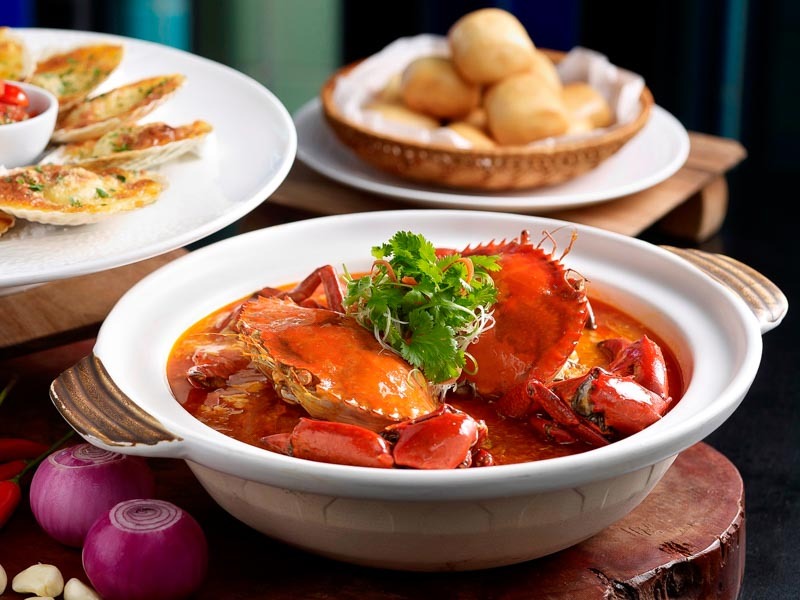 Whatever you do, don’t leave without trying some of the signature mainstays of the buffet like the Authentic Singapore Chilli Crabs, Black Pepper Crabs and crabs in a Salted Egg sauce. We’re all guilty of heading all the way to Changi Airport just for food (whether or not anyone in the family is going abroad) and for good reason; the dining options are amazing! Constantly ranked as one of the best airports in the world, it’s definitely an ideal spot to feel proudly Singaporean this National Day. Azur at Crowne Plaza Changi Airport Terminal 3 will give you one more reason to make the journey, with an incredible buffet spread throughout the month of August that offers the best of Asian and Western cuisines. Get your fill of meat at the carvery, or stack your plate with fresh seafood galore before going for your favourite sushi. Some dishes to look out for when you’re there include Singapore Laksa, Chicken Rice, Kueh Pie Tee, BBQ Beef Ribs, and Asian Roasts like Char Siew, Roast Chicken and Roast Duck. Eat to your heart’s content, but save space for some Pandan Gula Melaka Cake! Azur will also host a special National Day Lunch and Dinner buffet (on 9 August 2018) at more attractive prices, and your HSBC Credit card will get you an even better deal: Spend a minimum of $250 in a single bill and enjoy $53 off! This promotion is valid throughout the month of August, so get yourself and your makan kakis to the East asap. For reservations or enquiries, call Azur at +65 6823 5354 or email: [email protected]. 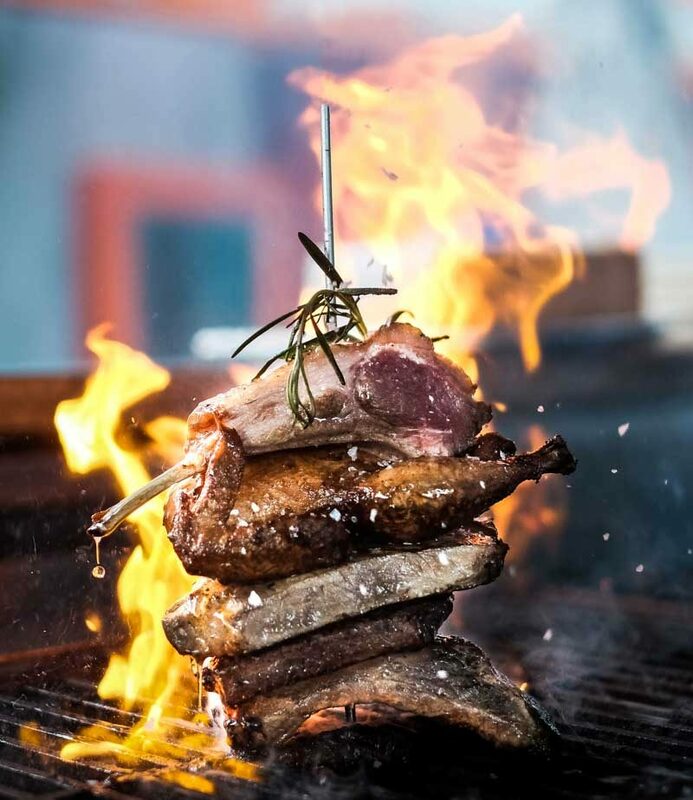 We already have an epic seafood buffet deal on this list, so here’s one for all you meat lovers – Escape Restaurant & Lounge in One Farrer Hotel is making every carnivore’s dream come true with a Meat 4 Dinner Spread (ha, geddit). We don’t even know where to begin; there are more than 20 new dishes in the spread, and four star dishes will be featured each night as “The Meat Attraction” (we’re loving these puns), including daily stars like the Beef Wellington with Mushrooms and Spinach and Slow Roasted Tomahawk. 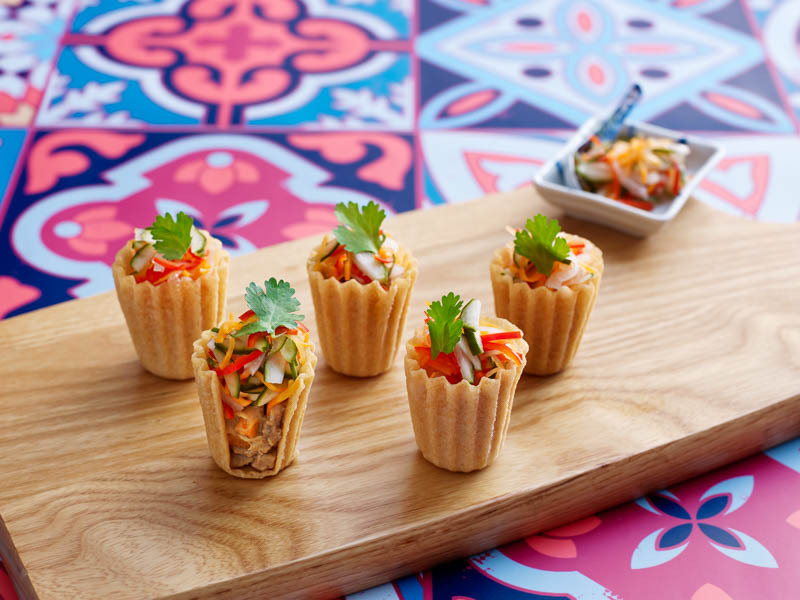 Bear in mind that these will be available in unlimited servings alongside other offerings from must-try stations like the DIY Beef Tartare Station and the Beef Noodle Station, amongst many others. End your meal with Singapore in mind by trying the Durian Pengat from the dessert spread and the Nonya Chendol with Durian from the Local Flavours Station. I would personally pay good money for this particular buffet, and what’s even more shiok is that paying with an HSBC Credit card allows four adults to dine for the price of three. Guess I just have to jio my friends! From 1 to 31 August 2018, Ellenborough Market Café pays homage to Singapore’s 53rd birthday in August with a month-long fiesta! Head down to the restaurant and celebrate Singapore’s diverse culinary offerings with the special Flavours of Singapore Buffet. Start with some Fruity Rojak in the salad section and then work your way towards a plate of traditional Hainanese and Roast Chicken Rice or Roast Pork Belly in the carving section. Or perhaps you fancy some noodles instead and would prefer a delicious bowl of Nyonya Laksa that’s brimming with ingredients such as prawns, fish cake and tofu puffs. You’ll be spoilt for choice with loads of other dishes like Chicken Satay, Fried Carrot Cake, Oyster Omelette, Beef Rendang, Chicken Curry, Tandoori Lamb Chop, Braised Hokkien Mee with Seafood, Chilli Crab with Mantou, DIY Ice Kachang, Durian Pancake… we think you get the picture. This amazing selection shouldn’t be enjoyed alone, so make sure you bring at least one other person (and your HSBC Credit card) to enjoy 53% off every 2nd diner*. You’re welcome. Like we said right at the start, there’s essentially no better way to commemorate any celebration other than to eat, sleep, lepak, repeat, and now that you’ve had your fill of HSBC’s special dining promotions, it’s time to move on to the sleeping and lepak-ing bit. 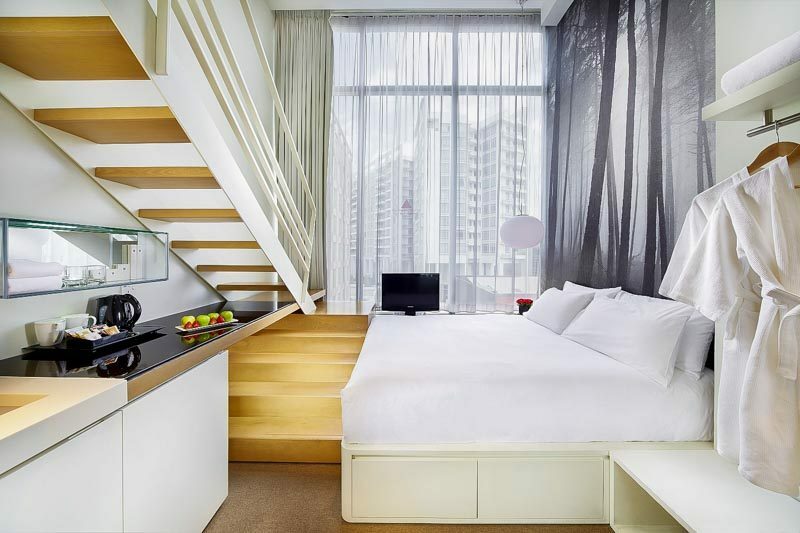 Studio M Hotel is probably one of the more popular staycation spots in Singapore, and it’s not hard to see why. The home-away-from-home feel gives you the relaxation of a new environment, without any of the “it’s just a hotel room” vibes. The loft-inspired space provides all the room you’ll need to unwind in this third quarter of the year, and it’s totally okay to use National Day as a reason for a break. Enjoy the 25-metre lap pool, jet pool and open-air gym, or just catch up on your favourite films using the complimentary WiFi. Already worried about justifying the cost? Your HSBC Credit card will get you 15% off the best available rate^, as well as breakfast for two and the aforementioned complimentary WiFi. Are you a fellow millennial? So many of us hate that term, and yet it’s really nothing to be ashamed of. 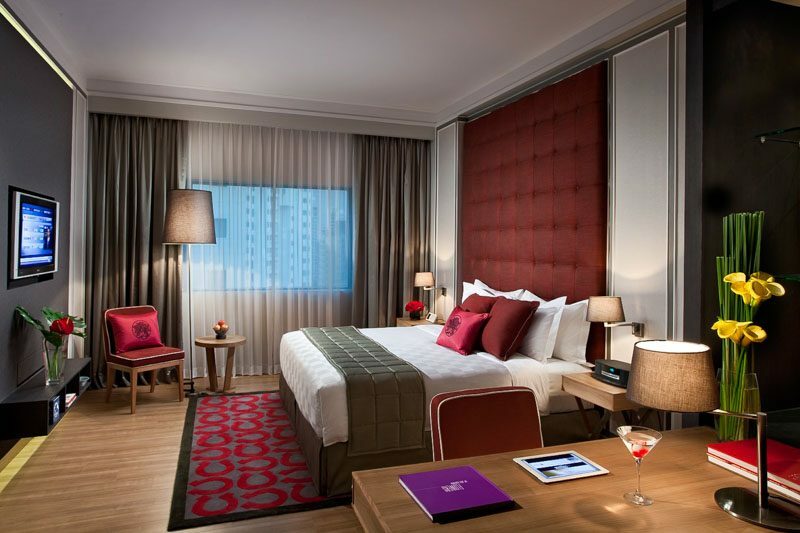 M Social Singapore embodies the mindset and provides the ideal setting for the modern staycationer. Art, design and technology are central to this sleek hotel, and it’s exactly where you should head to if you’re looking to nurture your creative soul. It’s easy to burn out at work at this point of the year, and there’s nothing that a good staycation can’t cure. Our country is celebrating itself and so should you, so retreat to one of M Social Singapore’s 293 rooms and reboot. While you’re at it, don’t forget to order room service so you can marvel at AURA, South East Asia’s first Front-of-House Autonomous Service Delivery Robot. What a time to be alive, right? Booking with a HSBC Credit card will get you 15% off the best available rate^, as well as breakfast for two and complimentary WiFI. You know what would be a great way to remember how far we’ve come as a country? To wake up to a view of one of Singapore’s historic features; our Singapore River. It didn’t always look so beautiful, but is now integral to Singapore’s landscape. Book a staycation at Grand Copthorne Waterfront Hotel Singapore and brace yourself for elegance and luxury. We’ve always heard great things about the hotel dining options that you should definitely take advantage of, and your HSBC Credit card will get you a delicious breakfast for two, alongside 15% off the best available rate^ and complimentary WiFi. 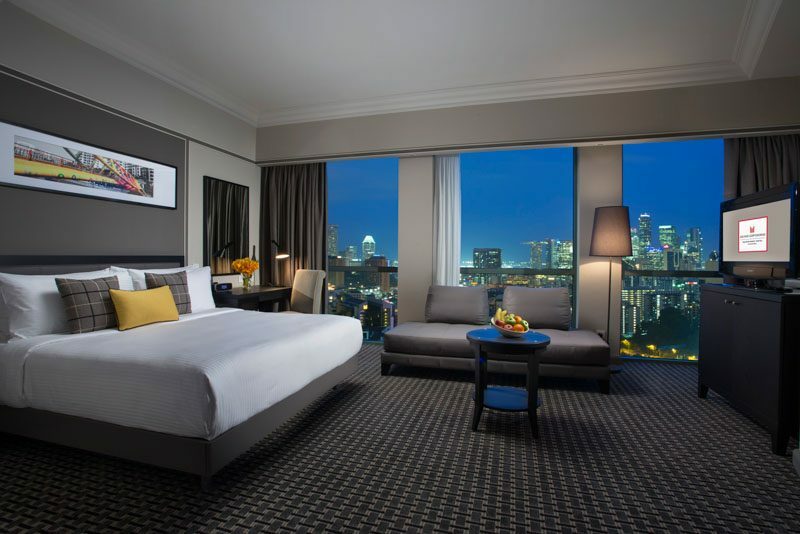 Offering a similar staycation promotion in the heart of town, Orchard Hotel Singapore is perfect for those of you who love a staycation, but also really love shopping – it’s a 10-minute walk away from Orchard Road! We know staycations technically mean that you should… stay… in. But holidays and celebrations are for shopping too, right? Here’s an idea: You use your HSBC Credit card to enjoy one of the delicious buffets mentioned in this article with your family, then you book a staycation at Orchard Hotel Singapore with your loved one and look forward to your free breakfast and WiFi^ for all the TV shows you’re going to binge-watch, then you check out and stroll down the road to shop till you drop. National Day 2018 celebrations = sorted. For more details on the latest #HSBCDining promotions, visit www.hsbc.com.sg/dining. Terms and conditions apply to all promotions. *This post was brought to you in partnership with HSBC Cards. Original HSBC Credit card must be presented upon check-in. All room reservations are subject to availability and not applicable during the blackout dates, except National Day. Offer is valid across all room categories. Prevailing hotel terms and conditions apply. Cancellation or changes are not allowed upon confirmation of reservation. All no show reservation will be charged based on one (1) night’s room rate. Prices quoted are subject to service charge, rate changes and prevailing government taxes. I got 99 problems and wondering what to eat for lunch is 98 of them.